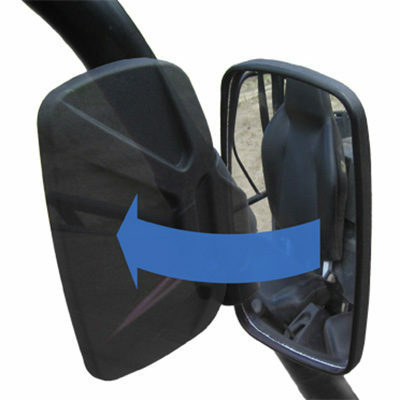 The tightening bolt keeps the mirror stiff on the roughest trails. 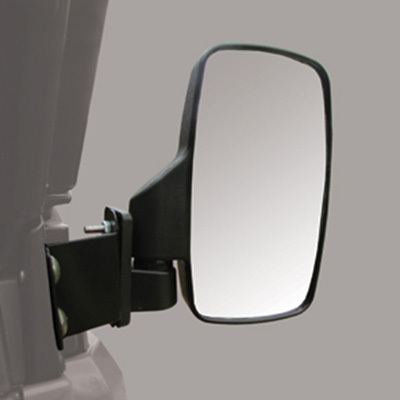 High impact mirror housing has aggressive styling and a design that reinforces the strength of the housing. 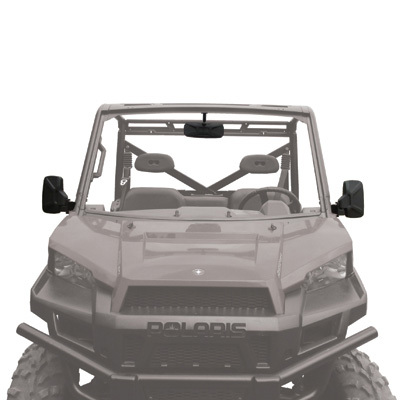 Please note that there can be interfere issues with the Polaris doors. 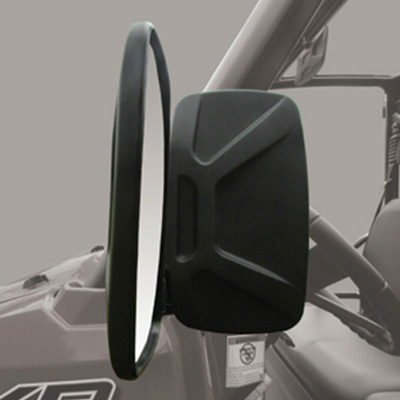 We do NOT recommend using our side view mirrors if you have Polaris doors installed on your vehicle.